So things are, perhaps, getting a bit random at this point, but when I listen to the tracks back all together they seem to work for me, although maybe because I was there when they were new. I have mentioned before that I saw the Thompson Twins live, as a support act, and they put on quite an upbeat and lively show, I enjoyed it, though back in 1983 I probably didn’t appreciate it. They put out a lot of good pop songs but weren’t a success with the critics, which is a shame as they clearly had the knack of writing a good hook. In 1991, long after they had faded from the scene, they released a single “Come Inside” under the name ‘Feedback Max’, it reached No. 7 in the US Dance Chart and No. 1 in the UK Dance Chart. 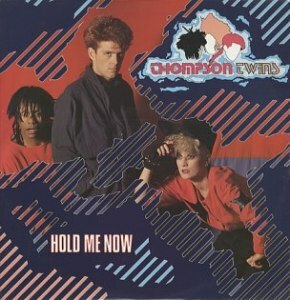 However, once it was discovered that the Thompson Twins were behind the record, sales dropped and the album it was taken from never had a UK release. Just goes to show that it isn’t all about the music.